San Diego / Vista / Santee Bail Bonds | King Triton Inc. Thank you very much for your help in my car accident case! Ian was very courteous and dedicated to helping me put the stress away in this delicate case and I cannot thank him enough. He is truly a professional! King Triton is one of the best firms I have ever dealt with. They were very receptive, always available to answer my questions and overall very professional. I received high quality service after being involved in a DUI car accident last year. This firm is the place to go whenever you are looking for dedicated, knowledgeable and client-oriented help. I have been involved in a DUI case after hitting a car on the highway a while back, resulting in injuries and serious damage to the other driver. Ian is truly dedicated to his clients' bail bonds needs and is a fantastic person to work with. He bailed me after I got in a side collision after I accidentally ran a red light a few months back while intoxicated. Great service! Managed to get arrested a couple of months ago after I crashed into a parked vehicle while intoxicated. It was not a fantastic experience to find myself behind bars, but Ian got me out in no time and helped me deal with the case. DUIs are never fun and I learned it the hard way after I found myself behind bars in San Diego. Luckily, Ian helped me get back on track after bailing me out and today I am a new man thanks to his professionalism in dealing with cases like mine. King Triton Bail Bonds is the right firm for all your bailing needs! My sister was involved in a car accident and needed to be bailed out of an LA County jail. Ian stepped in and helped us along the way with her DUI case. After being involved in a DUI accident, I found myself behind bars and very stressed out. Luckily, Ian helped me with my case and I would recommend him to anyone with bail bond needs. You will not regret it! A big thank you to Ian and his team of dedicated agents for helping me bail out my brother following an auto accident. Ian is a hardworking, energetic and professional agent, always helpful a true pleasure to work with. Ian was great! He bailed me after I got arrested in an auto accident and everything went flawless. I could tell he is a professional and knows exactly what he is doing.. very courteous and understanding! Thank you! Found out the hard way that getting arrested for an auto accident is in no way fun. My brother bailed me out with Ian, a great, professional and easy to work with agent. Definitely check out his firm King Triton Bail Bonds! Ian helped me get out of jail in no time and was with me every stepping stone on the way. Truly a remarkable professional, trustworthy and hardworking! You can trust King Triton Bail Bonds for getting you out of jail in no time. 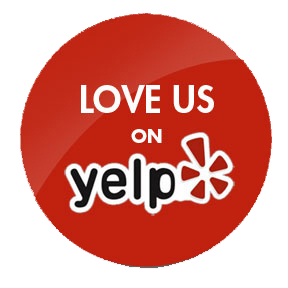 They were exceptional in handling my bail and I could not be happier with the level of service they provided me with. Thanks guys! I was in jail for drunk driving and the folks at King Triton Bail Bonds helped me with bail and a rehab program to change my life for the better. I am very thankful for all they did for my case and recommend them for anyone with bail bond needs. This wasn't the first time getting caught drunk at the wheel, so my husband was sent to county jail. Ian has been a blessing helping me bail him out of jail and providing support along the way. I don't know what I would have done without his help. When alcohol and bad decisions come together, you sometimes end up behind bars like my friend. I managed to bail him out with Ian's help and the level of service provided by him and the guys at King Triton was obsolete. Big thank you! I was driving with my license suspended and got pulled over, sent to jail... I was really bummed but Ian bailed me and walked me through the whole process. He was really versed in this, and I recommend him to anyone. Not one of my proudest moments in life for sure, but Ian and the guys over at King Triton Bail Bonds helped me get out of jail and dealt with bailing me. They were very fast, reliable and I am happy I chose them in my case. When we were faced with the reality that my sister was facing jail time, we knew we needed to do something and bail her out. We received a recommendation to try the services of King Triton Bail Bonds, and we surely did the right thing! Thank you! These guys know their job! Thank you deeply for all the help for bailing my brother out of jail after his DUI accident, we could not have done it without your help. We recommended you to all our friends, keep it up! Life behind bars sounds horrible, I couldn't even imagine a day in jail! Ian and his great team helped me bail my best friend after he was caught driving under the influence again. Everybody at King Triton is truly dedicated to their job. Ian has been a blessing from the moment I met him! I knew from the start that he was qualified and had the skills to bail my father out of jail after he was caught drunk behind the wheel. Truly a remarkable professional, thank you! Being involved in a trucking accident is shocking enough, but being sent to jail tops everything else. Help came in the figure of Ian and his dedication, hard work and professionalism when it came to bailing me out. Forever grateful, thank you! After contacting King Triton, help came in a matter of minutes and we could see my brother free again after a terrible trucking accident. Working with the staff over at the firm has been pleasant and we would like to thank everybody for their involvement. Very pleased to had the chance to work with King Triton and the people behind it. I would like to thank them for bailing my brother involved in a reckless driving case. Everybody was so professional and understanding to our case. 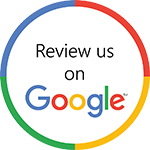 Exceptional service, very easy to get a hold of and did exactly what they promised. They managed to bail a friend out who was imprisoned for trespass, made the process very easy and clear to understand. Professionals! This was my first time ever behind bars and it was a shocking experience while it lasted. King Triton and Ian were my rescuers to put it like that, and they are just exceptional to work with. Following my arrest in a disorderly conduct case, I was informed about King Triton Bail Bonds and decided to use their bail services. I am very pleased with their help and I highly recommend them to anyone requiring bail in their case. Ian and his dedicated team managed to bail my uncle out of jail in a disorderly conduct case he was involved in. He was very happy with the help he got from Ian and could not thank him enough for all he did. Ian and his team are exceptional in what they do, no doubt about that. My brother got arrested and needed bailing out of a Vista jail. Ian took care of all the paperwork and got him out in no time! King Triton Bail Bonds is a great firm, staffed with helpful, knowledgeable and professional bondsmen working in your favor. I highly recommend their services for all bail bond needs out there, give them a call! I was expecting a lot more difficulties when looking for a trustworthy bail bond company, but King Triton is just the right one! I was very impressed by how fast and professional they acted, and I highly recommend their services. A friend recommended we contact King Triton Bail Bonds after my father was imprisoned following a disorderly conduct in public. Ian and his team were fantastic from the start, always easy to reach and made sure we understood the whole process. Ian is nevertheless a true professional dedicated to helping his clients spend as little time in jail as possible. He helped me and a friend in the past and we were both very pleased with the level of service we got. Ian has been a blessing when he helped us bail my father after getting caught driving without a license. He was very dedicated to helping us understand the process and was always courteous and easy to get a hold of when we had questions. When my cousin got jailed for driving without an insurance, we had no idea where to turn for bailing him out. Luckily, we found Ian and his dedicated team, who put our worries away and bailed my cousin. Thank you for your help! Unfortunate events are part of anybody's life I guess, but I never expected to know how doing jail time really feels like. However, I didn't get the chance to spend too much time there, as Ian bailed me out and took care of everything. Highly professional! Ian and his well-versed staff have been a pleasure to work with. We needed his help after my sister was sent to jail in a simple assault case. He put our worries away and walked us through the entire process, courteous and helpful every second. Thank you to all! Nobody expected my cousin to be sent to jail, but when it happened, Ian and his agents helped us bail him out. They were professional, knowledgeable and a pleasure to work with. Thank you to all! Ian was exceptional in handling the bail and rehab in my friend's drug case. He was very easy to work with and always explained in detail the process and everything related to this case. We are grateful for his help! Ian helped me and my family get my brother back on track after bailing him out of prison in a burglary case. You can truly expect the highest level of service from Ian and his team at King Triton. Experienced, fast and discrete! Ian and the team at King Triton Bail Bonds have helped me get back on track after being caught driving intoxicated a few times. They were understanding and took care of the bail process in less than 15 minutes! King Triton Bail Bonds is staffed with hardworking bondsmen that really take care of you when facing prison time. I highly recommend their services after they bailed me after being arrested for leaving the scene after I caused an accident. I decided to get help from Ian and his team after my sister was arrested for selling drugs and was sent to prison. Ian took care of everything for me and got her out in no time. Thank you! Truly professional people to work with! My family contacted King Triton Bail Bonds to get my brother out of prison following a vehicular homicide he was involved in. It was truly life changing and I will be forever grateful for all your help in our delicate case. I know there are a lot of bail bond companies out there but I think King Triton is the best one in the area. They were unbelievably fast, courteous and professional when they bailed me out of prison for aggravated assault. Thank you! My father got arrested a while back and I was looking for a bail company that I could completely trust. King Triton Bail Bonds proved to be the company I needed and I am very happy with all they did for my family. Trusting Ian for my bail bond needs was a huge step towards getting my life back on track. I cannot be any more happy with his service and I highly recommend him to anyone needing bail and help with their case. King Triton Bail Bonds is an excellent firm to turn to when you need bailing. They helped me and my family in a domestic violence case and we could not be any happier. We highly recommend their services! Why Choose King Triton Bail Bonds?